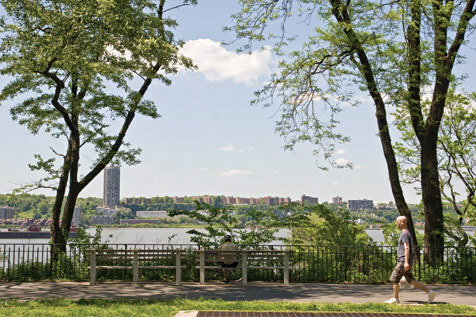 New York is often seen as a concrete jungle, but there are small pockets where greenery not only thrives, but provides a welcome respite from the hectic pace of urban life—that is, if you know where to look. 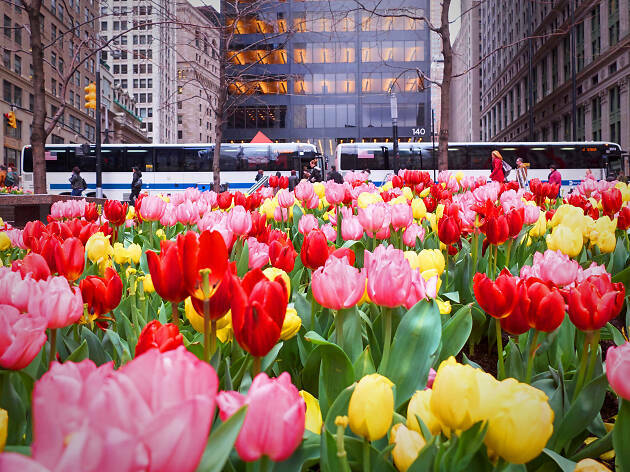 Next time you want to take a minute to stop and smell the roses, check out NYC parks like Central Park or visit New York's various conservatories (like the one at the New York Botanical Garden). 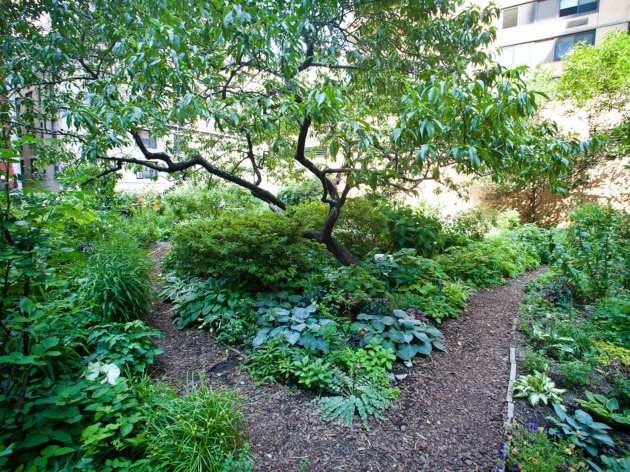 We've also included lesser-known, secret gardens in NYC that provide rare moments of solitude in a city packed with eight million people. 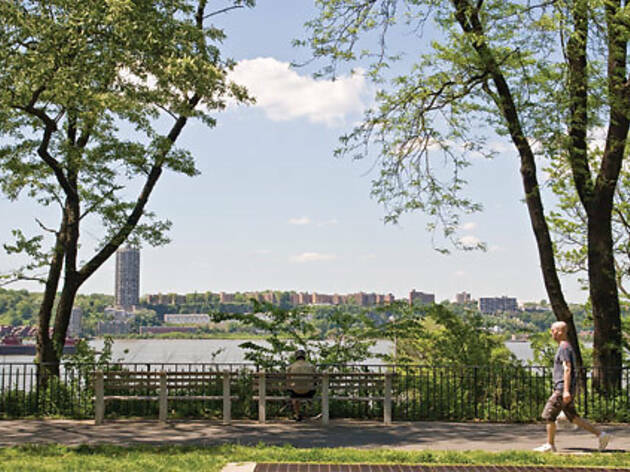 The park at Manhattan’s southernmost tip is home to two gardens: The Bosque, which covers four acres and features more than 100 London plane trees, and the Gardens of Remembrance, where you can see more than 100 different types of perennials. Virginia bluebells and a variety of tulips begin blooming in April; in May, look for Oriental poppies, vibrant Tassel grape hyacinth, and peonies. 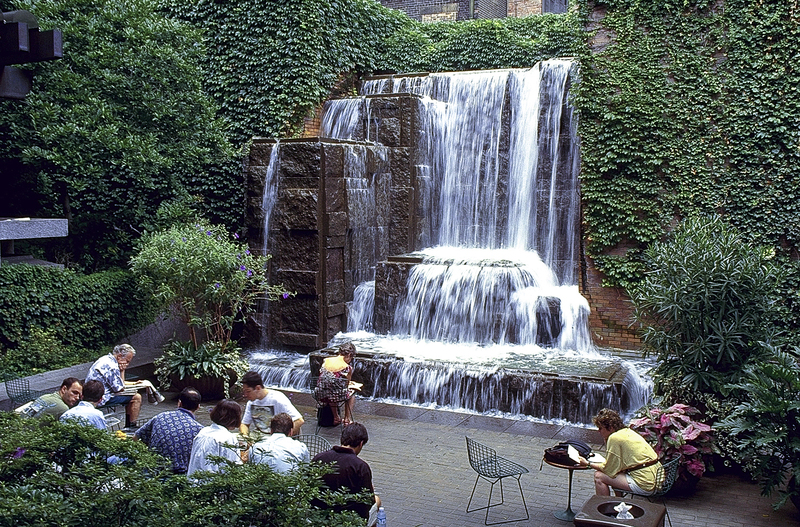 This 52-acre garden is home to the climate-controlled Steinhardt Conservatory (which houses plant life from three different temperate zones), as well as gardens devoted to fragrances and plants mentioned in Shakespeare’s plays. 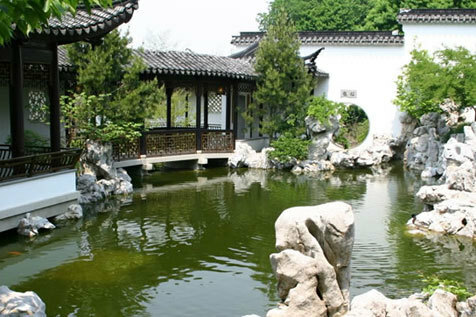 If you want some fauna to go with your flora, check out the ducks in the picturesque Japanese Hill-and-Pond Garden. 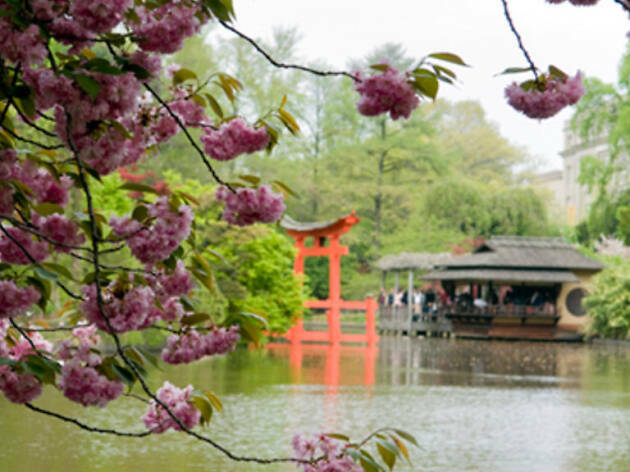 The garden celebrates Japanese cherry blossoms during “Hanami”, with more than 200 trees blossoming along the garden’s Cherry Walk, Cherry Esplanade and the Japanese-Hill-and-Pond Garden throughout the month of April. 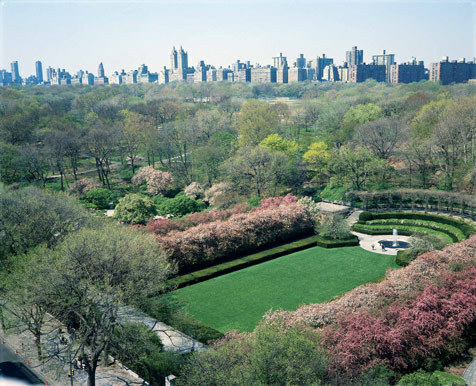 On a beautiful day, it’s hard to top a stroll through the 74-year-old Conservatory Garden, a trio of French-, Italian- and English-style plots. 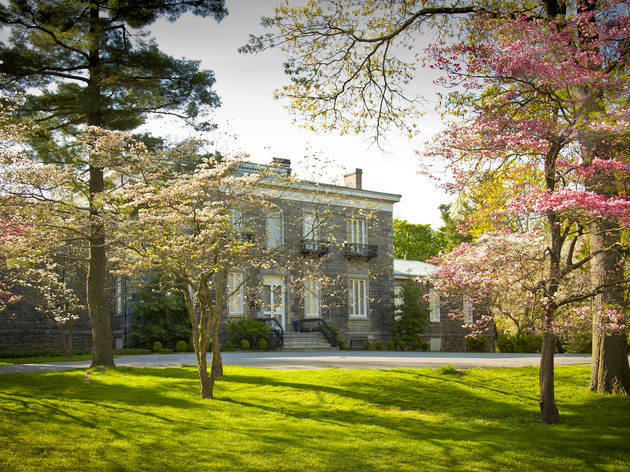 Stop by the statue dedicated to author Frances Hodgson Burnett, author of the classic novel The Secret Garden, which is surrounded by magnolia and Japanese lilac trees. 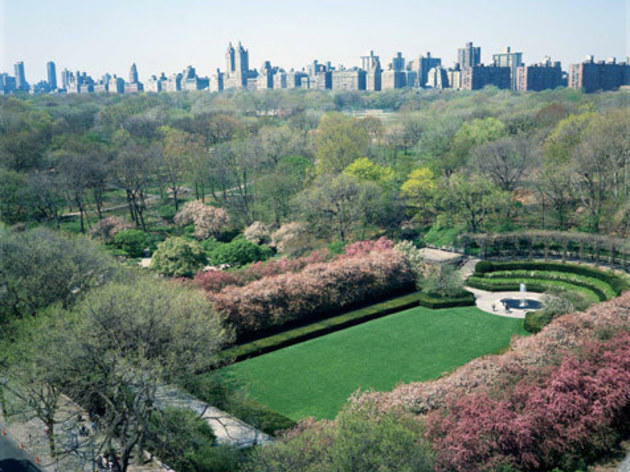 You can also get tickets for the Central Park Conservancy's first-ever Cherry Blossom Tour to learn and see those gorgeous, pink-petal trees. Designed by Frederick Law Olmsted Jr. and reinvigorated by public garden designer Lynden Miller (whose green-fingerprints are all over New York's prettiest parks), Fort Tryon Park sits 250 feet above the Hudson River and boasts more than four landscaped acres that look as if they were transplanted from an English country estate, with sloping lawns and drooping elms. The garden features more than three dozen varieties of heaths and heathers, some of which bloom even in winter, their needlelike leaves turning copper or chocolate. 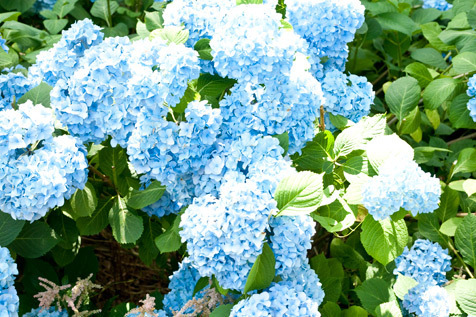 Summer is always the best time to go: The plots become a genteel wilderness, riotous with musk roses, foxglove, hydrangeas and irises. This small expanse manages to pack plenty of flora into its 4.5 acres. 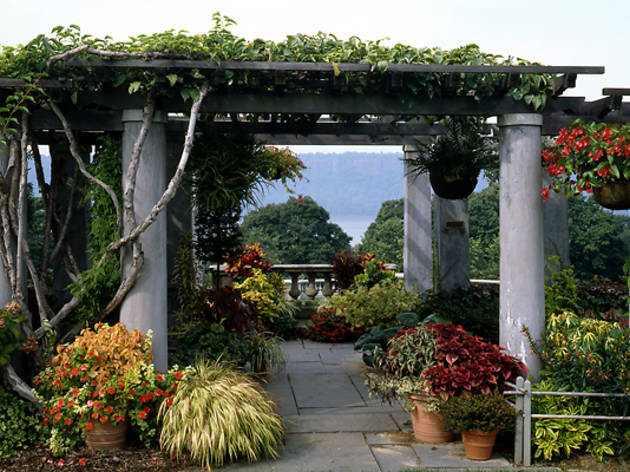 You’ll find a wide array of flowers and plants here, including sections devoted entirely to weeping willows, roses and linden trees. Water lilies begin blooming in the Lily Pond in May, while the 450-foot-long Fragrant Pathway is filled with lilacs, lilies and jasmine, providing further sensory treats for both your nose and your eyes. Among the diverse specimens found in this urban Eden are banana trees, moth orchids, the largest collection of New World palms indoors and a 50-acre tract of pristine forest. The garden celebrates its 17th annual exotic-flower showcase with The Orchid Show: Singapore. 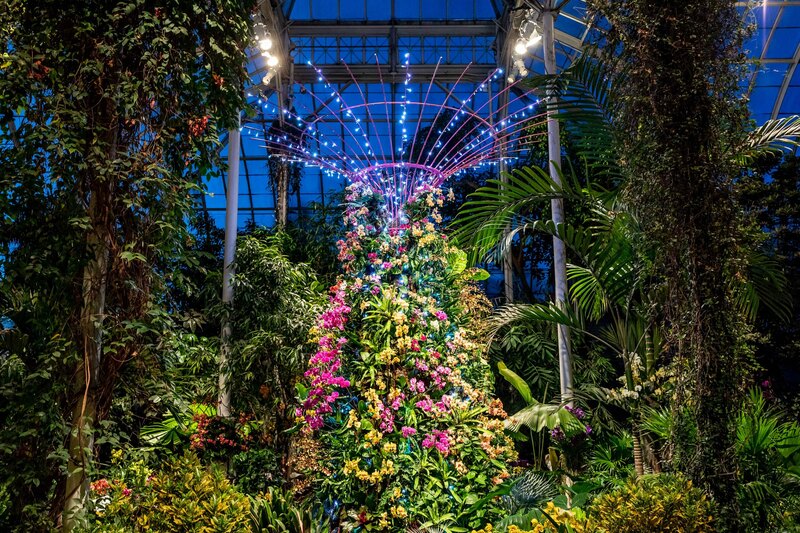 The display features thousands of orchids in a variety of colors, shapes and sizes. 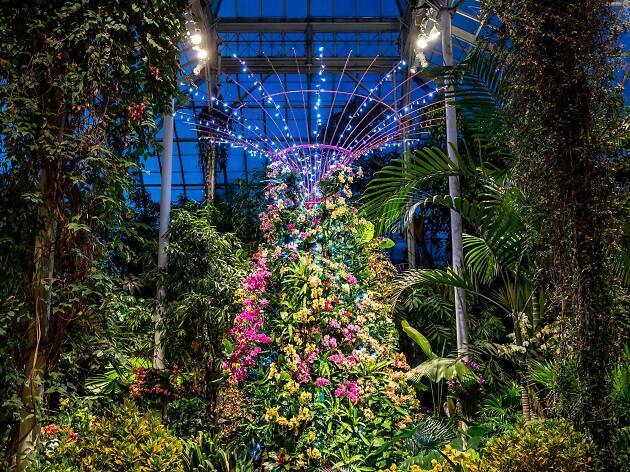 As usual, there will be special Orchid Evenings during which visitors can enjoy the attraction after dark and see the Supertrees, including a gorgeous display of lights, among the orchids. 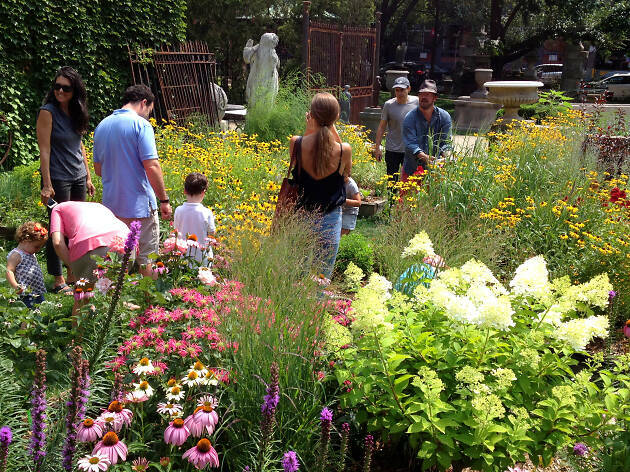 For 35 years, a volunteer collective called the Garden People has carefully curated the block-long 91st Street Garden, one of the most colorful corner of Riverside Park. 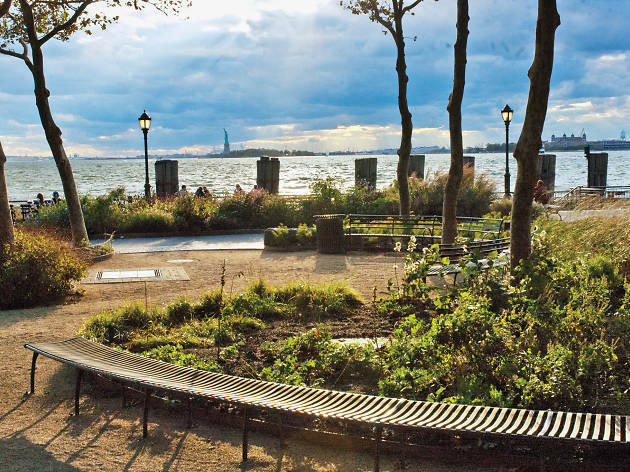 (It’s also one of the park’s more famous locations, having made a cameo in the romantic climax of the 1998 film You’ve Got Mail.) Hundreds of varieties of plants line the asphalt walkway, including rose of Sharon trees and giant hibiscus flowers. 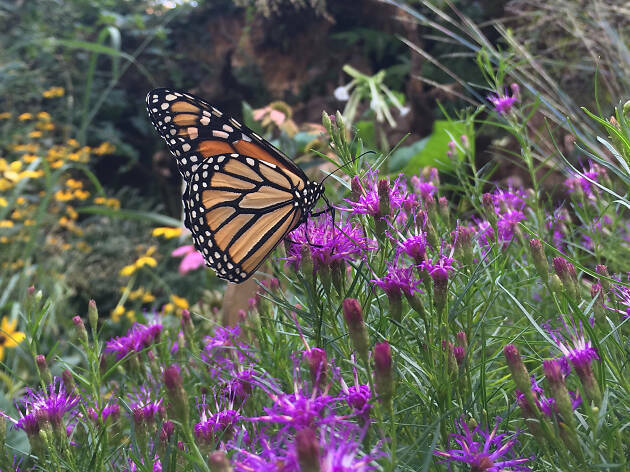 During the summer, keep an eye out for monarch and swallowtail butterflies, which are drawn to the aromatic bushes. 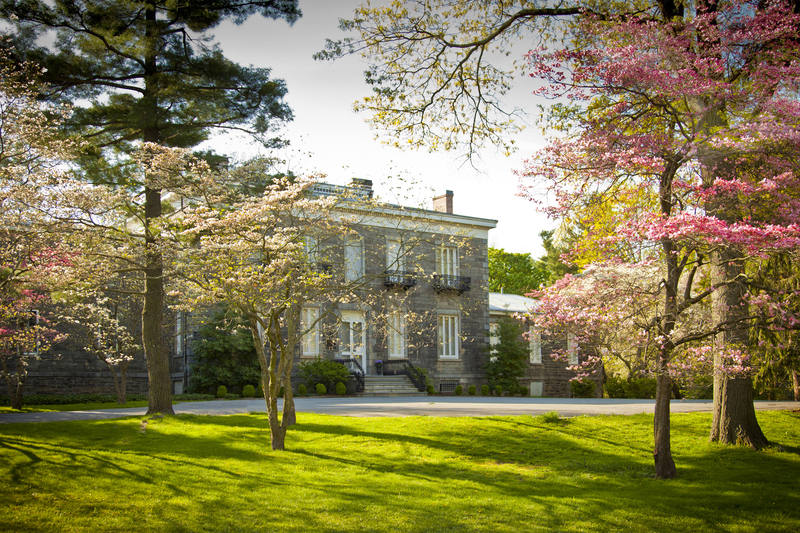 The Staten Island Botanical Garden is just one element of this institution, which also includes a performance space and an art gallery. 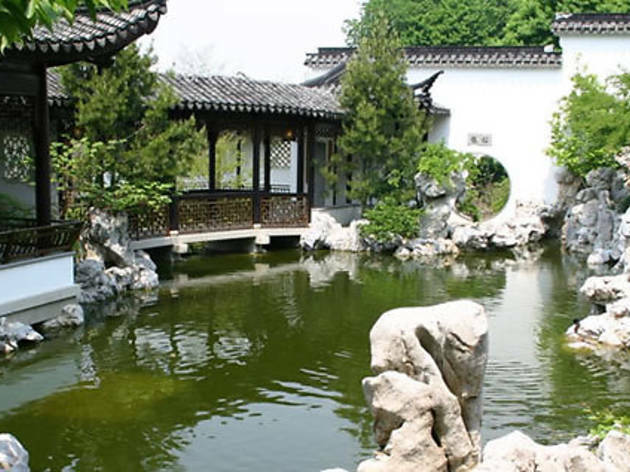 Stroll through the Tuscan Garden, modeled after the Villa Gamberia in Florence, before moving on to the Zen-like New York Chinese Scholar’s Garden, which has undulating pathways, abstract rock formations, and ponds filled with rainbow-hued carp and koi. Once a private estate, the 28-acre garden and cultural center includes an elegant 19th-century mansion, abundant wildflowers and shady pergolas, all welcoming your Sunday idleness. 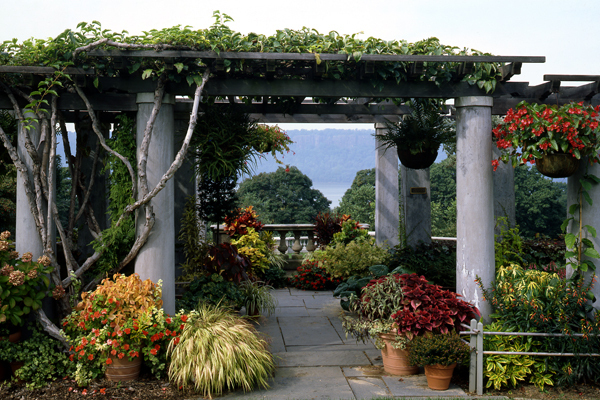 Gardens overlook the river and the Palisades, and vistas stretch to the George Washington Bridge. 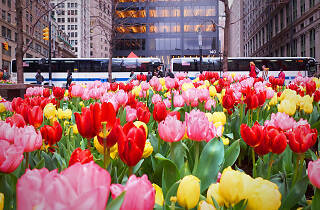 April is a wonderful month here. Magnolias bloom in white, pink and yellow until late May, and bright blue sheets of glory-of-the-snow carpet the sloping woodland. 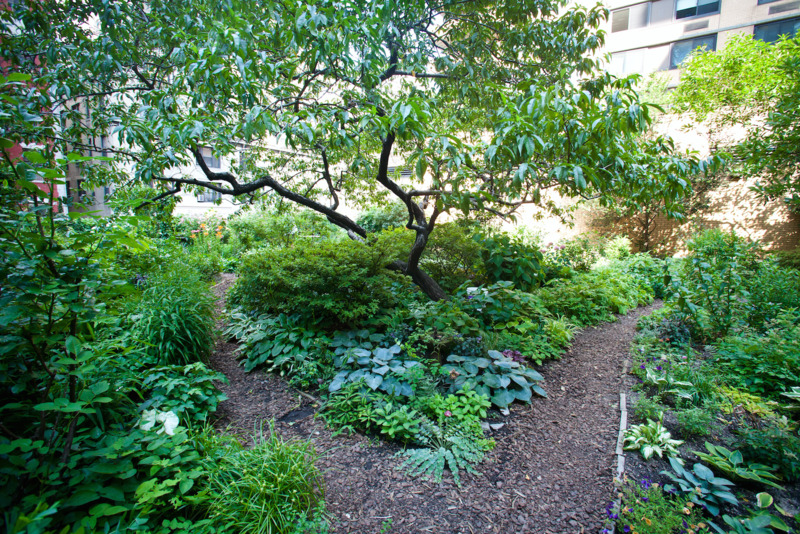 One of hidden treasures of Midtown, this "vest-pocket" park measures a mere 60 feet by 120 feet. 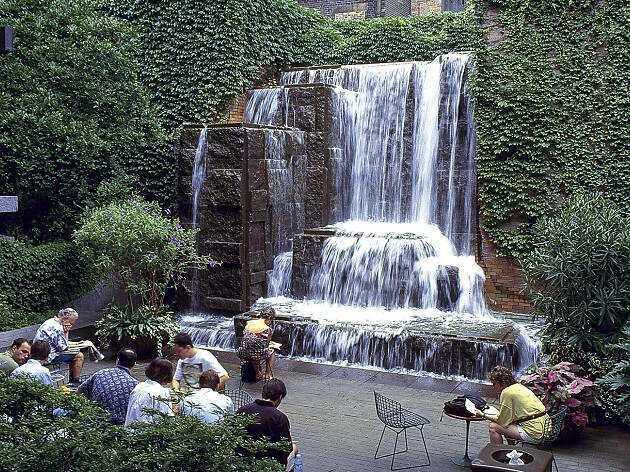 However, in that small space it's able to incorporate not only places to sit, but heat lamps, an outdoor cafe, shady trees and an impressive, 25-foot waterfall. 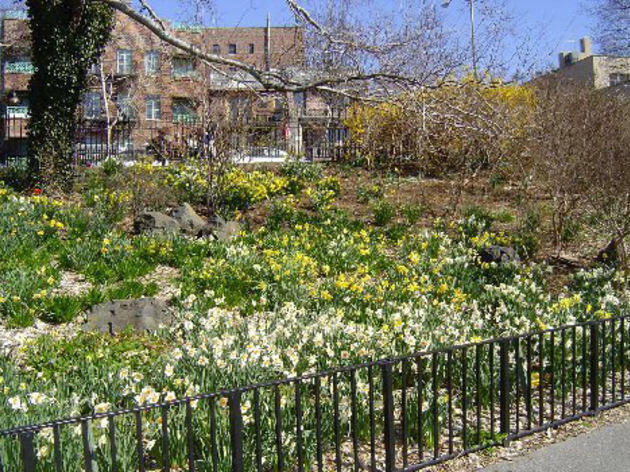 A community garden on the Upper West Side, the Lotus Garden is actually located 20 feet above West 97th Street on the roof of a parking garage. 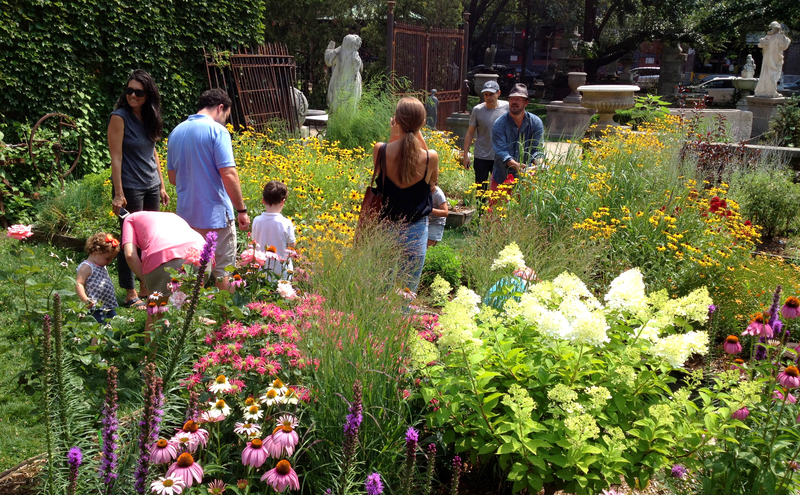 The beautiful space, maintained by 28 gardeners and other volunteers, hosts many events throughout the year. 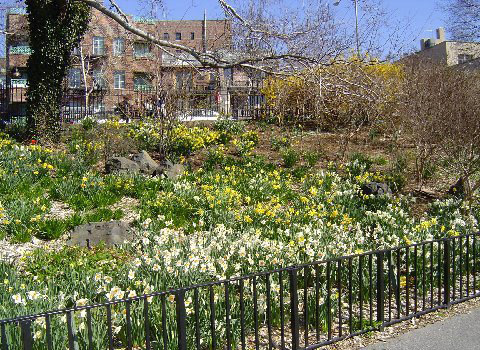 Another popular garden in the East Village, this large, corner community garden hosts concerts, readings and other events. It's also available to be rented out for private events. 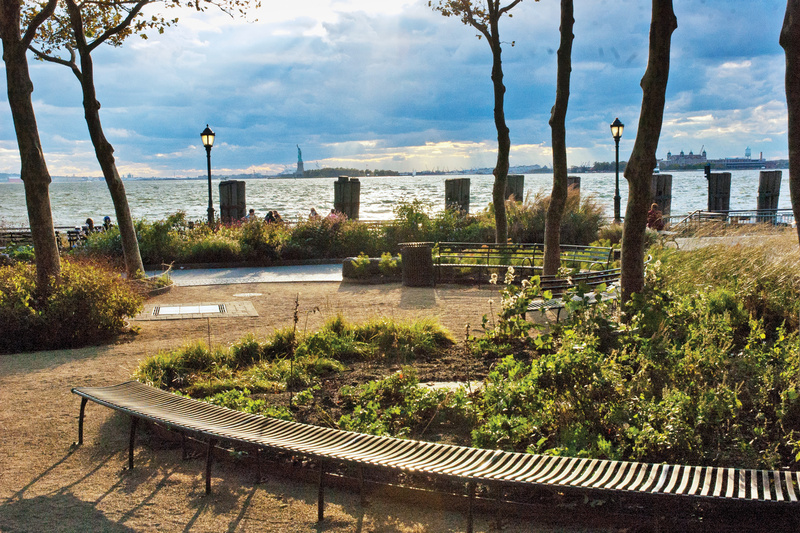 This romantic garden in Little Italy is open to the public, and features an array of marble and cast sculptures throughout the space. You may want to check this one out sooner rather than later, however, as it's currently being considered as a possible site for new affordable housing.